A study of the dissection of the lower leg and foot of a bear, viewed in profile to the left. To the left there is also a slight drawing of the leg. At the outset of Leonardo’s anatomical investigations he was unable to procure much human material. Many of his dissections were therefore of animals, including bears, dogs, monkeys, frogs and pigs. Bears lived wild and were hunted in Italy in the fifteenth century. They were also kept in captivity by street entertainers and for baiting. 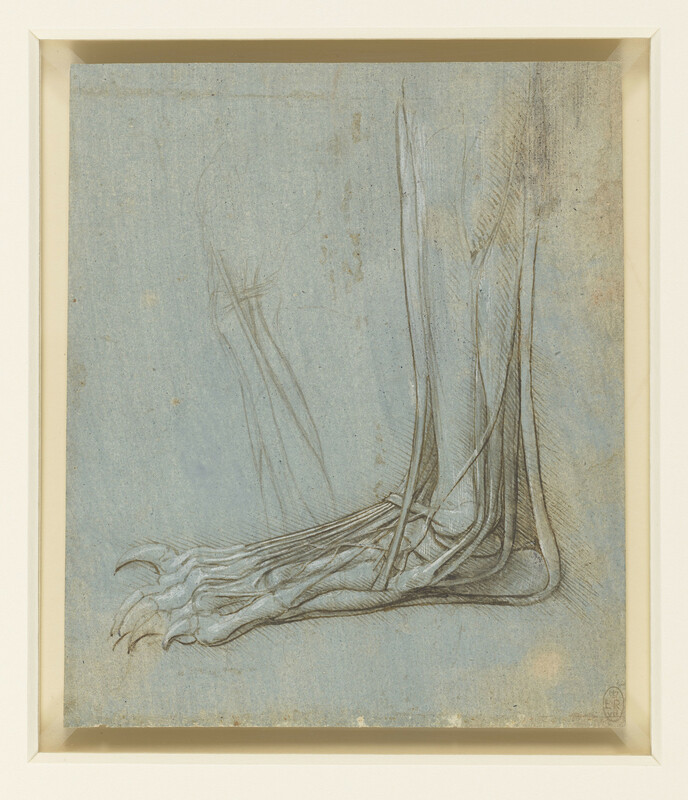 Here Leonardo concentrates on the tendons of the foot and their attachments to the bones.